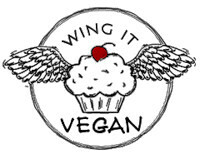 Wing It Vegan: Sookie's Peach Sauce = Gilmore Girls Geekery! 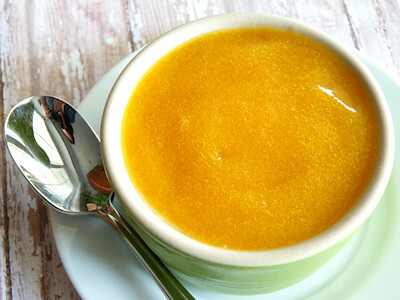 Sookie's Peach Sauce = Gilmore Girls Geekery! 2. Whisk together the orange juice, maple syrup, salt, and anise seeds. 3. 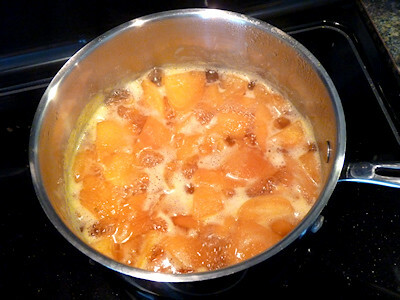 In a medium saucepan, combine the peach chunks and the orange juice mix. Simmer for 20 minutes. 4. Remove from heat and transfer everything to a blender. Add the vanilla and liquefy for a minute or until you can't see any chunky bits. 5. 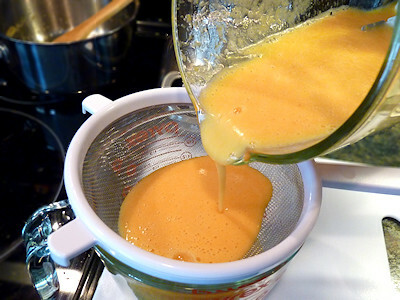 Strain the sauce through a fine mesh strainer and refrigerate for at least an hour before serving. This recipe makes one cup of tangy sauce. If it's too tangy for you, just add maple syrup to the cold sauce until your taste buds are happy. The anise seeds add a tiny little extra som'n som'n, but you can leave them out if you want. The skin slips right off! Anyway, if you want to see Sookie in action there is a youtube video with a compilation of some of her funniest moments. Needless to say, the video is full of spoilers! I love Gilmore Girls! I miss that show. I know I will love this peach sauce just as much. Can't wait to make it! I love Sookie! The peach sauce looks delicious! 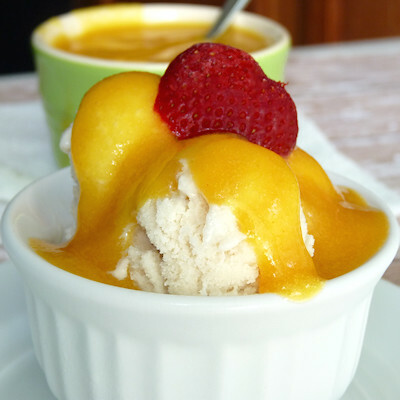 Sookie's peach sauce--love! 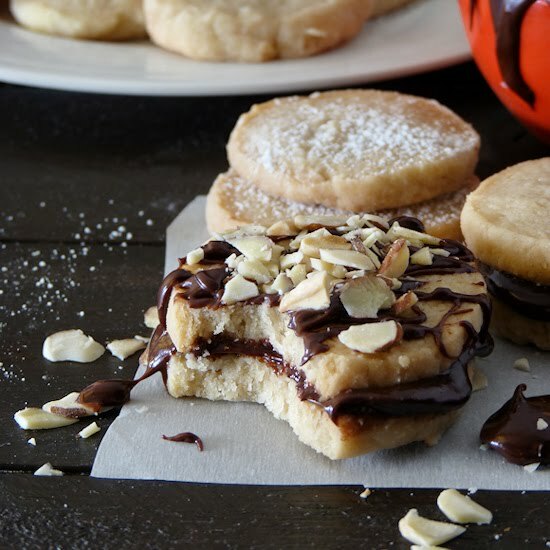 Sounds like the perfect accouterment for an ice cream and Gilmore Girls night! I love that you made the peach sauce. Yay for the Gilmore Girls. :) I love that show... I should do a rewatch soon. Lovely looking peach sauce. Also love your idea for super fast ice cream in the ice cream maker. I just watched the end of the last season on Saturday! Sigh...I love Luke. Sookie totally has my dream job. Jennifer - That really is quite annoying! It also bugs me that they Made Michel a vegetarian at first but later on he isn't anymore. Meh. I'm drooling over the thought of putting this on top of my ice cream! I'm going to the farmers' market today! Peaches have been added to the list. Can't wait to make the sauce! i miss gilmore girls! 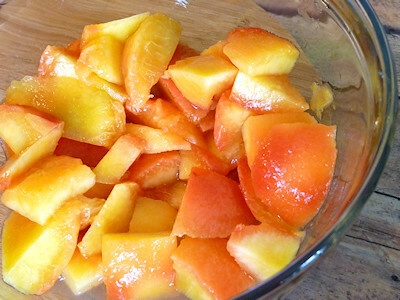 your peach sauce looks delicious, i love the golden peachy color. Michal - You just made me jealous! I wish I could be watching GG's right now too, but the internet connection in this hotel is slower than turtle-speed and it's not fast enough to watch videos. BOO!! Ahh I love Gilmore Girls!! Sookie is always hilarious, and that peach sauce looks delicious! I bet it would be delicious over oatmeal. What pretty pictures and I do love peaches! That sauce is such a great summer sauce idea for ice cream. I bet it would be good on Thai sweet rice too! 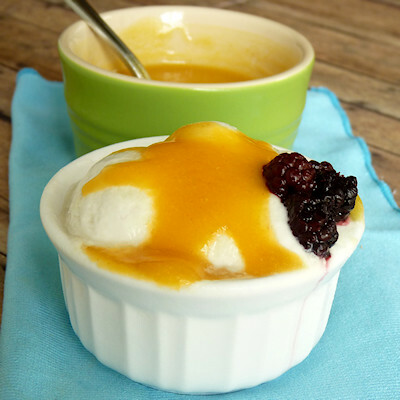 The peach sauce looks so good, and especially inspiring with all the peaches showing up at the farmers market here - thanks for the ideas, as always! So glad to be among GG fans here! The ONLY thing I don't like about it is their attitude to veg*ns, but I love it so much I try not to think about that. Your peach sauce looks SO GOOD! You'll probably remember the situation we were concerned about! Thanks, Mike! You sure can't beat produce that is in season, it's the tastiest and so cheap! This is definitely on my todo list! Lovely. Thanks for the easy ice cream recipe too...been looking for an easy, vegan one! It is rather interesting for me to read that post. Thanx for it. I like such themes and anything connected to them. I would like to read a bit more on that blog soon. So funny that I ever thought I was obsessed with GG because I'd seen every single episode ONCE. Alright, alright...I'll start it over again. The peach sauce looks great, and I hope I can find a time to make it for someone else just so I can tell them the name of it. What a gorgeous sauce, so summery! And I love that you are making GG-themed food! I can't wait to try this! I have definitely used the expression "I want to take a bath in this sauce" more than once. You combined my two greatest loves: Sookie and vegan food. Hey - I love the look of this sauce. I was just wondering if you think you could make the sauce without removing the peach skin? Just because peaches aren't really in season yet and I've found it difficult to get the skin off! Hmmm, I personally wouldn't unless they're organic peaches. I don't buy all organic produce, but I have read that peach skins are loaded with pesticides. 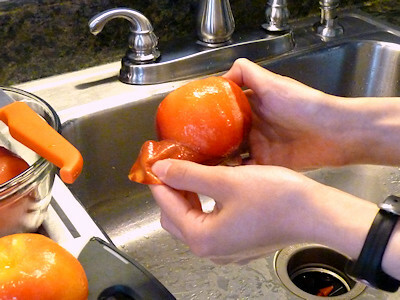 Maybe you can peel them with a regular good-ol' paring knife? 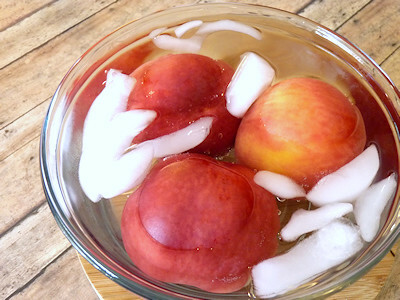 I googled peach sauce after restarting the GG series (for the fourth time?) and lo and behold, I got sookie's sauce that I was actually looking for! I'm surely going try to make this! sounds and looks so yum! thank you from on gg fan to another! Hello, fellow GG fan! I feel like we should do some sort of secret GG fan handshake. When I first made this sauce I had all kinds of plans to make every single food ever mentioned on Gilmore Girls, but I never made it past the peach sauce! Procrastination got in the way. I hope you enjoy it if you get a chance to make it! How awesome is it that Netflix is going working on new GG episodes?! YAY! !